There are a lot of different weight distribution ﻿﻿﻿hitches out there, every product is designed for some applications and types of trailer. Do not allow the numerous products confuse or intimidate you because there are a lot of factors that you should include when buying a hitch, consider your vehicle and what you are planning to haul with it. The first thing to do is to read the owner’s manual of your vehicle when looking for a hitch. You will find out the gross trailer weight of your vehicle and the hardware on the cargo. The tongue weight indicates the amount of weight that is resting directly on the hitch. When you know these two already, it will be easier for you to choose a hitch. Is There a Need for You to Use a Weight Distribution Hitch? 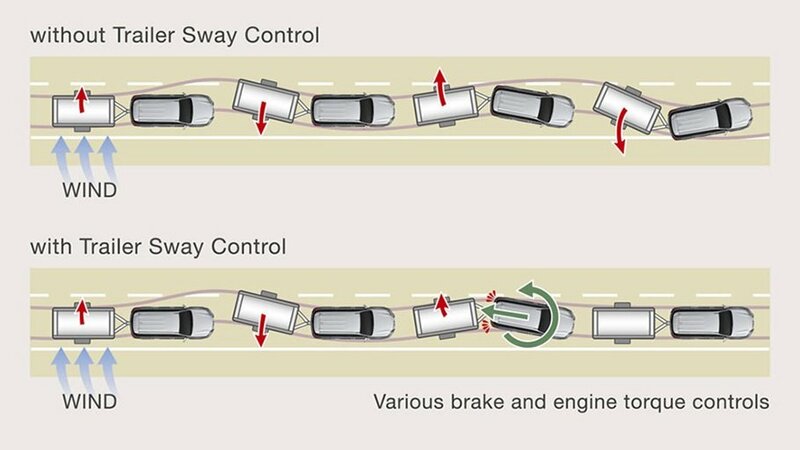 What is Trailer Sway Control? 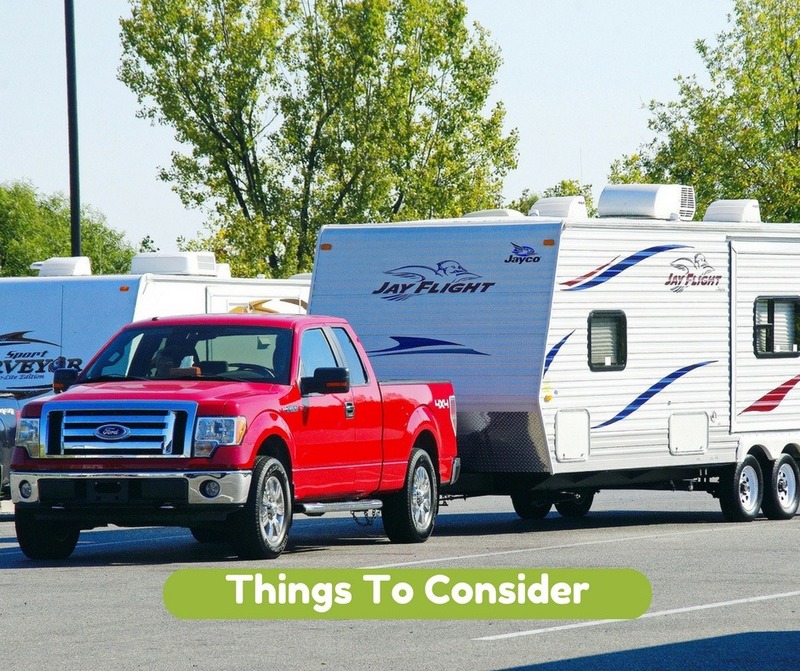 Now that you know the weight of your trailer and towing capacity﻿﻿ of your vehicle, it will be easier to come to a decision on the kind of hitch you need. The trailer hitches are classified differently for the various kinds of trailer and vehicles. How long does it take to install the product? Some products only need 30 to 60 minutes to install, while some require 1 to 2 hours of your time before you can start using it. The more expensive ones take less than 30 minutes to install. Depending on your budget and demand for convenience, you can invest more in one that is easier to install. What is the finish of the hitch? There is an A-coat Pre-finish with a black powder-coat, carbide black-powder coat, and black-powder coat to name a few. Depending on what you prefer, there is a corresponding price and durability that each one provides. Some trailer and vehicle owners are very specific when it comes to this because it affects the appearance of the hitch and how long it is going to last. Of course, some finishes are more costly than others, it all depends on your taste. Every product has its pros and cons. Depending on what you are specifically looking for, there are factors that you can still consider in exchange for a product’s advantage because you need it more and can just ignore the minor disadvantage it has. This is mainly applicable when you are a bit tight on the budget and can’t get everything you want in one product so choosing one that will suffice is the best thing you can do. This is totally reliant on the gross tra﻿﻿iler w﻿eigh﻿﻿t and tongue of your vehicle. The range of the weight that hitches can handle is between 10,000 to 16,000 lbs. of gross trailer weight and tongue weight between 1,000 to 1,200 lbs. You will find out the gross trailer weight and tongue weight of your vehicle from the owner’s manual. It has a 600 - 1,200 pound hitch for distributing weight, controlling sways, and 2-5/16” ball. The sway control ball and hitch are already installed and has been torqued according to what is specified on the ball mount that is adjustable. There is U-bolts and chain package that are already on the spring bars and the maximum GWT is 12,000 pounds. The product weighs 97 pounds and the dimensions are 33.5 x 97 x 7.4”. The warranty for the parts lasts for 5 years from the date that was bought. It can be requested from the customer service. When you are looking for a weight distribution hitch that is already complete and you can use right away, consider this one. With the price you will pay for and what comes with the product, you will not go wrong. It is also easy to ask for the warranty from the customer service and they will answer you right away. This is one of the most practical hitches out there and with a maximum capacity of 12,000 pounds, you will not regret buying this one. The tow bars 10k equalizer is an adjustable hitch 900 00 1000. No hitch ball is included and the product weighs a total of 102 pounds. The size is 44 x 102 x 4” and there is a warranty for the parts. The warranty given by the manufacturer can be asked from the customer service. The item cannot be shipped internationally, which means that the item is only available in the US territories, Alaska, and Hawaii. This product is strong and sturdy making me feel safe and it is easy to use even if the assembly takes a little time. If you are willing to put in the work because it can be quite challenging to assemble the product, you will not go wrong with this one because it is exactly what you need if you want to enjoy your vacation. This one is a bit pricey but I do not regret buying it because I like to move around the country a lot. If this one is used, the sway control and weight distribution become one unit and it is not necessary for added hardware. The performance is outstanding and I love it that the handle can be for hooking up and removing bars. It is easy to install and adjust because of the frame brackets. It does not make any noise and a lot quieter compared to others. The hardened steel is long lasting and they deliver a lot of durability in the long run. There is already a hitch ball installed and the GTW is up to 12,000 pounds. If you want something that is not too expensive and will give you what you need, this is the one. You can expect it to work like a charm and it already comes with a hitch ball. The only thing you need to do that is different from the usual set up is that I would recommend you to weld the brackets so that they will not become loose - you do not want those to move. This one has a capacity of 10,000 pounds and already has a shank and hitch ball. The weight of the product is 94 pounds and the dimensions are 10.5 x 33 x 9”. The warranty given is for the parts and it can be requested through the customer service. Comes with easy-to-follow instructions that will help you assemble the hitch without consuming too much time. The large hitch also serves as protection for the bumper because there are unexpected objects that the trailer will encounter. If you are on a budget and want a hitch that will work well for you, then purchase this one. I did not experience any trouble using this one even if it installing the bars were a bit challenging. I will still buy this again in the future. This is a trusted brand and a leader in the industry. To guarantee its quality and good reputation in the market, the manufacturer provides a warranty for it. This one performs great and it will surely enhance the trailer. You can expect that it ships fast and it is not too expensive. The weight is 102 pounds and the dimensions are 33.5 x 11.2 x 7.5” The warranty information is provided and it is for the parts, labor and full manufacturer’s warranty. If you are looking for something that it practical and will not waste your time and money, this is it. You will not go wrong with how easy it is to install it because of the instructions that are straightforward and easy to understand. Even a beginner can install this perfectly. If in case the weight on the tow ball of the trailer affects the rear part of the vehicle for towing, there will be a see-saw effect of lifting the front part of the vehicle. In return, it will take weight off from the front wheels that reduce traction, braking and steering control. The weight distribution hitch comes back to the vehicle with a normal position by equally distributing weight on all wheels of the towing vehicle and trailer. In general, if the gross trailer weight is an added 50 percent of the tow vehicle’s weight, you are going to need a trailer hitch. The trailer can be swayed because of crosswinds, the trailer’s poor loading, or lack of spring bar tension in the weight distribution system. Using a weight distribution hitch on its own may help in putting a limit to swaying by equally-distributing the load weight, but it is going to have a little more improvement when there are crosswinds. In order to help control swaying, a control device is given recommendation for majority of standard weight distribution systems. Since sway control is important, it is built into a lot of systems. If there is a need for you to add a device for sway control, you will most likely be confined to a bar style friction control for swaying. There are two basic types of sway devices – the ones that reduce swaying when it has begun working and the ones that work to prevent swaying at the same time. This buying guide will help you take into consideration all of the factors you need to look at before buying a weight distribution hitch. I gave very honest reviews about each product and even mentioned the disadvantages each has so you can choose wisely. I also have a buying guide for a trailer brake controller, which you will also need aside from the hitch. Inspect the trailer because this will never fail and every summer you are going to pass a number of trailers and also campers that have been left stranded along the road. These hitches are the best ones out there so do not hesitate to pick what you think is right for you.